A new book called Polyamory and Pregnancy was released last week. 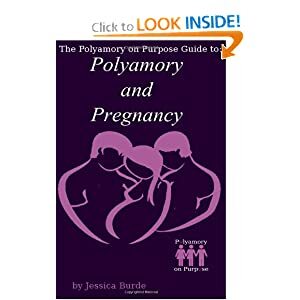 It’s the first book in the Polyamory on Purpose Guides from author Jessica Burde. My friend Lauren had a difficult pregnancy. It was made worse by the fact that during the pregnancy there was significant drama in her relationship. She and her metamour were not getting along at all, and the way her husband handled things didn’t help. The night Lauren went into labor, her metamour was there with her. The doctors decided they had to do an emergency C-section because Lauren had developed an infection in her uterus. Lauren’s metamour called her husband while she was being prepped for surgery. The doctor said that if her husband was not there before they started the incision, the operating room doors would be locked and he would not be able to be with her during the birth. The metamour’s partner drove Lauren’s husband to the hospital, breaking several speed limits on the way. In the meantime Lauren’s metamour got suited up in scrubs and a mask, because Lauren said that if her husband couldn’t be there, she wanted her metamour to be. Her husband got there with less than a minute to spare; the metamour had been walking into the operating room because they were about to lock the doors. It was probably a fairly comical scene in the maternity ward hallway, with the metamour stripping out of the scrubs and mask and shoving them on Lauren’s husband to push him through the doors into the OR. During Lauren’s recovery, and the month her baby spent in the neonatal unit, the polycule continued to work together. I wish I could say that the experience healed the problems between them – it didn’t. But it brought them closer together, and brought Lauren and her husband through a difficult situation with more love and support than they ever hoped for. For Lauren’s metamour, the experience includes some of her fondest memories of the relationship. And while they eventually went their separate ways, that little girl still holds an important place in all of their hearts. Pray God no one in your polycule needs to go through what Lauren did. And I sincerely hope that your relationships are healthier than the situation she was in at the time. 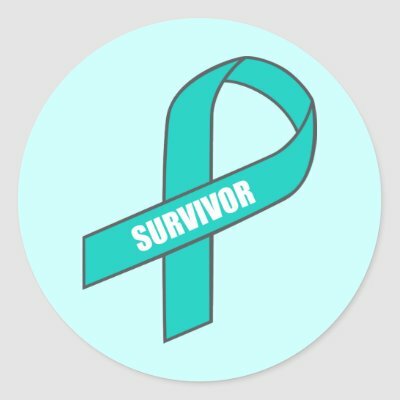 But as difficult as it was, and however much I’m sure Lauren never wants to go through anything like it again, the story also illustrates one of the great strengths of a polyamorous relationship: knowing that the flexibility and support your polycule can provide will be there for you throughout the pregnancy. Whatever happens and whatever your relationship to the pregnancy, the support and love around you can make this an experience to be treasured. Order your copy on Amazon.com today in either paperback or on the Kindle. ~ by omgrey on March 13, 2013.